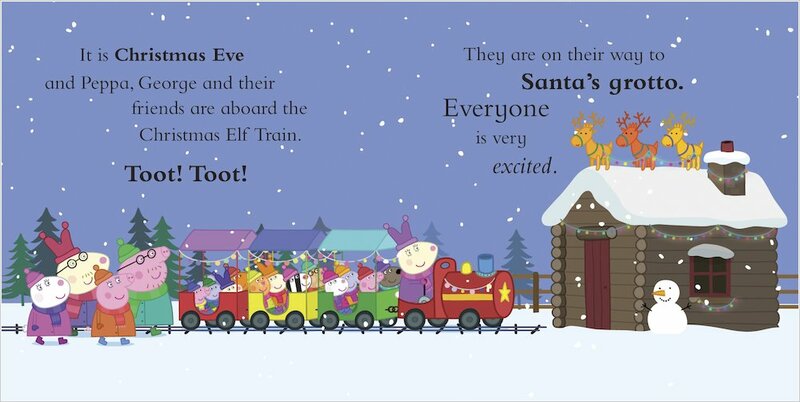 All the treats Yuletide has to offer (plus a few cheeky piglets) in one beautiful board book. So many lovely things to see and do. There’s nothing better than counting down to Christmas. Just ask Peppa. First she’s in Santa’s grotto, full of joys and treasures. 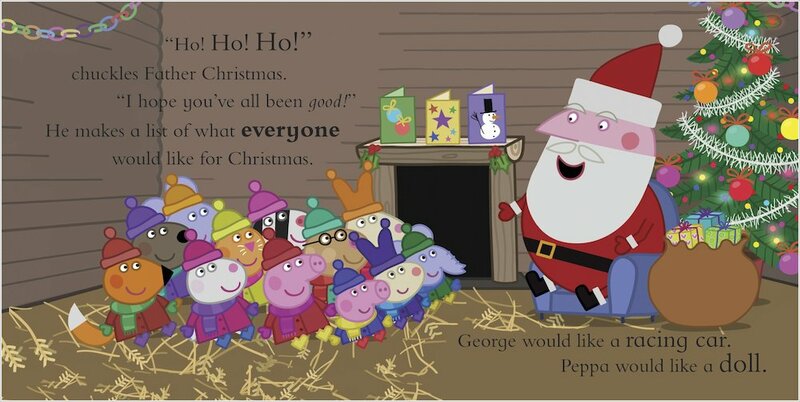 Peppa and George love telling Santa about the presents they’re hoping for. Next is a festive visit to Granny Pig. 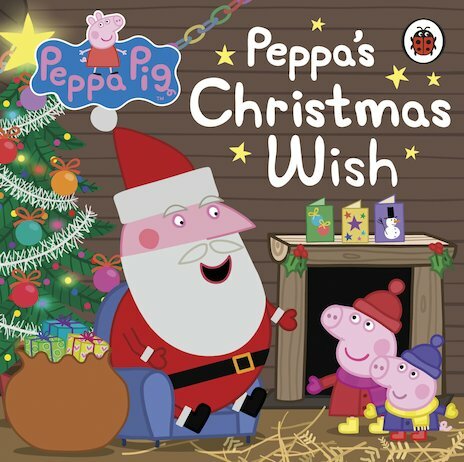 Finally, Peppa makes a special wish. Will it come true? Stir the Christmas pudding and make your own wish too.